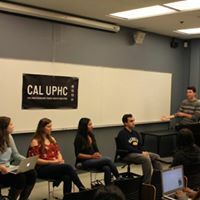 Learn about some of the events Cal UPHC's Executive Board and four committees put on, for both the local student population and the surrounding community. We had public health major alumni come to share their experiences with us. This was a great opportunity for our members to learn how to make the most of their undergraduate experience and how to make a successful transition into a post-graduate lifestyle. Whether our alumni are working full time or continuing their education through graduate school, they are applying their passion for public health to make a difference every day. ​Faculty members from the School of Public Health came to hold discussions with our members regarding their research interests, the courses that they teach, and any other concerns our members wanted to address. 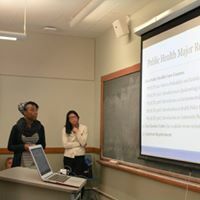 This was a great opportunity for our members to get to know the professors and learn more about what they can pursue with a degree in public health. Professor Lahiff is a lecturer in Biostatistics and Epi/Biostat in the School of Public Health. She teaches Public Health 142, one of the core undergraduate public health major classes, and has won the SPH Distinguished Teaching and Mentoring Award. Her research interests include multivariate methods, time series and longitudinal data as well as acculturation and health. diagnostic and blood-screening assays for infectious diseases including TB, MRSA, West Nile Virus, viral meningitis, HPV, HIV, SIV, and HCV. in evaluating cost-effectiveness of technologies and interventions for decreasing neonatal, infant, child and maternal health such as universal health insurance, vaccines, social franchise systems, and mobile phone apps. of HIV in developing countries, the intersection of the HIV/AIDS and tuberculosis epidemics, malaria in Uganda, and emerging and re-emerging infections in the US and globally. Professor Nuru-Jeter is a lecturer for a couple graduate courses in the School of Public Health. She is interested in how social exposures such as "race" and "social status" determine life experiences and opportunities differently for different social groups and how those differences become embodied and impact mental and physical health and well being. The Berkeley Free Clinic came to lead a workshop regarding health insurance. Our members had the opportunity to learn in detail about the different health insurance plans and what the nuances are with each plan. There was also a discussion on current events surrounding health insurance and how our members can apply this knowledge. Grad students from the fields of epidemiology, biostatistics, nutrition, and health policy & advocacy came to speak to us about their experiences and how they became interested in the field of public health. We had a panel and a Q&A to allow our undergraduates to get a sense of what they would be interested in doing with a public health degree. We had the privilege of having Candice Moses and Amy Lou, the undergraduate major advisors, present to our members information about applying to the public health major. All of Cal UPHC's members got a chance to know each other while also learning about how to get involved with public health advocacy. 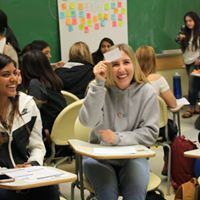 We had fun playing trivia, learning about public health opportunities, sharing why each of us are interested in the field of public health, and playing Heads Up!. 7:30 pm - 8:30 pm, 254 Dwinelle. Make sure to submit the RSVP form here by Wednesday 11PM! - Interesting public health experiences in consulting and business, government and agencies, community organizations or research? - Both core and elective public health classes you can take here at Berkeley from the perspective of GSIs? Learn about the wide variety of experiences they have, and ask questions you have about grad school or public health. Jon Lee is a first-year MPH student studying Health Policy and Management. His interests lie in population health and creating more affordable models of care. Prior to graduate school, Jon worked as a strategy consultant, advising pharmaceutical and medical device manufacturers on how to position their products for success in a crowded market. He completed his undergraduate studies in 2013 at The University of Chicago, graduating with a degree in The History, Philosophy, and Social Studies of Science and Medicine. Catherine Nguyen is a second-year Epidemiology & Biostatistics MPH graduate student at UC Berkeley. She previously went to the University of California, Los Angeles for her undergraduate degree in Human Biology & Society B.S. Currently, she is involved with two graduate organizations, Cal Student Assistance for Public Health (Cal STAPH) and Asian & Pacific Islander's Women's Circle (APIWC). She is also working at the California Department of Public Health: Tuberculosis Control Branch and City of Berkeley, Public Health Division. A second year-MPH student with a concentration in Environmental Health Sciences, Alex Shi was raised in the Bay Area and attended UC Berkeley for his undergraduate degree in Public Health. He was involved in Cal UPHC as an undergrad and was actually the EHC chair from 2012-2013! After graduating, he went straight into the MPH program. Since then, he has interned with OEHHA (state government), CERCH (UC Berkeley research center/academia), and NRDC (non-profit advocacy) and worked on projects involving pesticide exposure, chemicals in consumer products, and air/water quality. His thesis and current focus looks at assessing exposure to agricultural applications of organophosphate pesticides in California. Carly is a second-year student in the MS Global Health and Environment program within the Environmental Health Sciences Division in the School of Public Health. Carly became interested in global health after conducting research in a rural agricultural community in Guatemala in 2013 and 2014. As a graduate student at Berkeley, Carly has held internships at organizations such as the Office of Environmental Health Hazard Assessment in Cal EPA and Friends of the Earth and conducted fieldwork in Costa Rica the summer of 2016 on a project aimed at identifying the health effects of pesticide exposures among conventional and organic farmworkers. For her thesis, Carly is evaluating associations between residential pesticide use and childhood leukemia from a study conducted in Costa Rica. Simone is a second-year Master's student in the Public Health Nutrition program at UC Berkeley. She is passionate about designing innovative solutions for issues of food insecurity and diet-related disease. 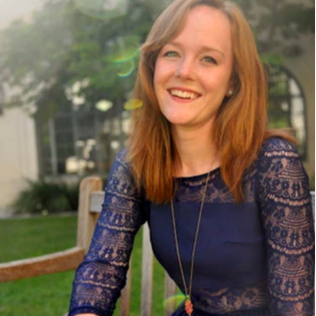 Originally from Colorado, she completed her undergraduate degree at the University of Oklahoma with a focus in anthropology and health. She then spent two years as an AmeriCorps member at the Regional Food Bank of Oklahoma, developing nutrition education programming and exploring the intersection between hunger and health. She decided to pursue an MPH to understand how we might build healthy and food secure communities through cross-sector collaboration. When she's taking a break from that grad school life, Simone enjoys cooking and playing ultimate frisbee. Samuel Schildhauer is a second year Masters of Public Health student with a focus on Infectious Disease and Vaccinology. While his interests vary considerably, he is most drawn towards studying the pathogenicity and epidemiology of respiratory and mosquito-borne viruses. However, he is also interested in laboratory capacity building and intervention implementation in low-income, tropical countries. His interest in global health stems from his experiences in Thailand, where he has spent a considerable amount of time conducting epidemiologic and laboratory research. His end goal is to obtain a meaningful position focused on alleviating the burden of infectious diseases in the areas of the world that are most affected. 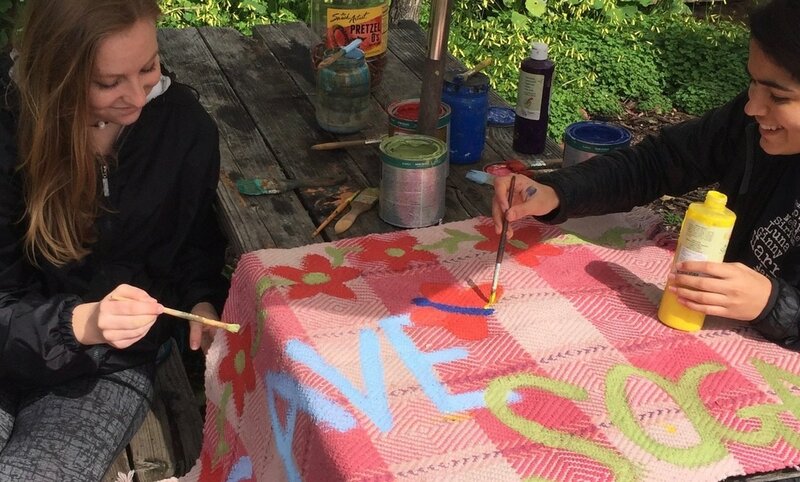 Cal UPHC's Environmental Health Committee showed their support of SOGA by going to the second SOGA sign-making party! They made signs promoting SOGA to keep it from being turned into student housing. The posters were part of a campaign to protect SOGA & the Oxford Tract, invaluable spaces to all of our educations. They stuck out the rain and it turned into a beautiful day in the garden. "The Student Organic Garden Association (SOGA) was founded in the 1970s, and has been maintained by students, for students ever since...this space hosts lectures, classes, & weekly hours open to the Berkeley community (city residents included), making it a space of harmony, education, & community--all aspects that make a proud University flourish...Those of us with a special connection to either one of these spaces are beyond belief that we are coming under attack by the University." Since Fall 2013, UC Berkeley undergraduate and graduate students, professional staff, faculty, administrators, and community experts have been working together to create an institutional food security model. Phase 1 of this work focused on the creation of emergency relief infrastructure.The UC Berkeley Food Pantry is an emergency relief food supply for all UC Berkeley undergraduate and graduate students. The Food Pantry, located in the basement of MLK Student Union (Room 68), serves students who need core food support. Since 2010, 1 in 5 UC Berkeley students reported having to “skip meals to save money” in the UC Undergraduate Experience Survey. In Fall 2013, our Financial Aid & Scholarships Office launched the Food Assistance Program to provide additional funding to food insecure students who have maximized their financial aid package. To date, over 200 unduplicated students have benefitted. For more information: follow this link. In Summer 2014, we launched the UC Berkeley Food Pantry to provide emergency supplemental nutrition support to any undergraduate or graduate student in need. To date, the food pantry has provided support to over 2,500 student visits. 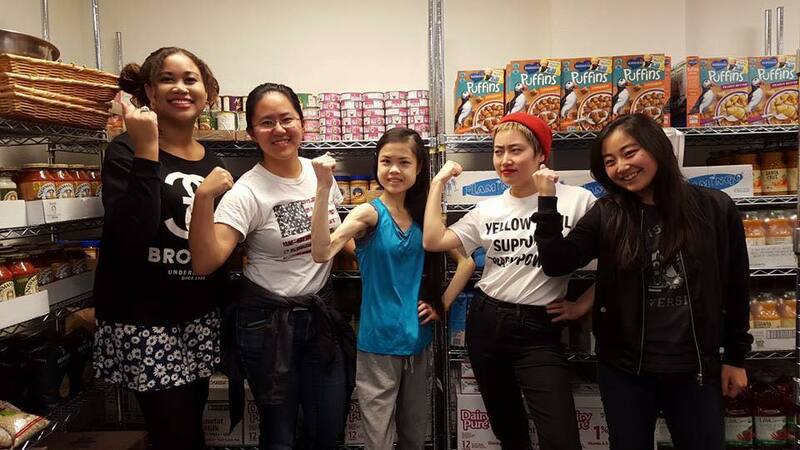 Cal UPHC joined the Berkeley Food Pantry to help restock the shelves, taking part in community service that will benefit the health of our fellow students! This is a great opportunity that will likely happen again, so keep an eye out for more information! This last Saturday (February 11, 2017) - Cal UPHC's Environmental Health committee spent several hours on a local community garden maintained by SOGA! They built two plant beds, which included weeding and preparing the compost on top, and learned important techniques for gardening - like making sure to place cardboard on the previous surface before placing hay on top to finish. Finally, they had the opportunity to enjoy some delicious tiny oranges and fresh kale. - Giving back to the community and supporting an organization committed to food justice and sustainable gardening? - Learning garden management and maintenance through hands-on experience? - Having a wonderful Saturday enjoying the sun, along with some fresh fruits and veggies? This will be an opportunity that will be made available to ALL of Cal UPHC! Keep an eye out on our newsletter for future dates to get involved, likely Saturdays 10-2PM. 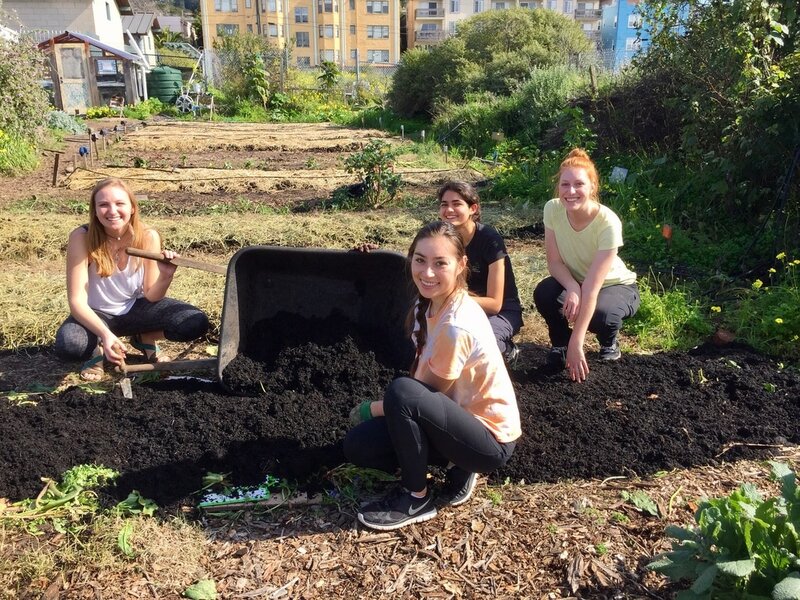 "The Student Organic Gardening Association (SOGA) is a democratic association of UC Berkeley Students committed to food justice, sustainable organic agriculture, and experiential learning. The Student Organic Garden, located just off the edge of campus on the corner of Walnut Street and Virginia Street, belongs to UC Berkeley, but the space has been managed by undergraduate students since its foundation in 1971." 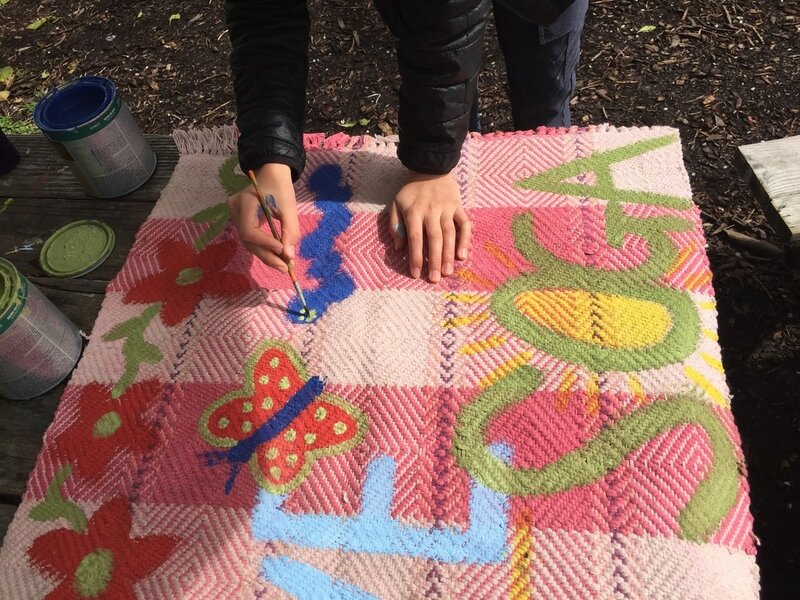 "The primary purpose of Open Hours is for members of the community to learn about garden management and maintenance through hands-on volunteer work. Garden tasks range from planting watermelon seeds in the greenhouse to pruning the fig tree to painting a mural on the side of the tool shed. All garden work is voluntary, and we ask that all new volunteers please sign a liability waiver. We highly suggest wearing closed-toed shoes, sunglasses, and sunscreen when volunteering!" Learn more at SOGA's website, or look at for announcements in our newsletter about opportunities to go together with other Cal UPHC members!